The South Korean company Samsung Electronics last week officially announced that on 20 February it will be held the event, which will be the announcement judging by the provided teaser image, the new flagship smartphone Galaxy S10. However, this day will not only be the Galaxy S10, but also a folding smartphone with a flexible screen, which is a long time rumor and whose prototype Samsung showed at the end of last year. 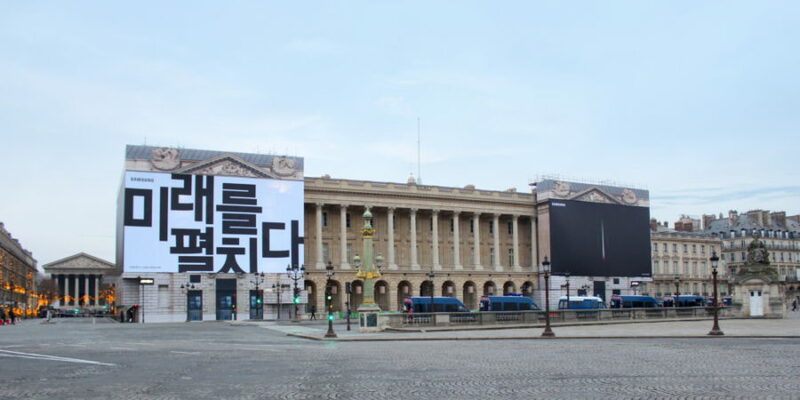 This is confirmed by a new advertising campaign Samsung – the South Korean company posted at place de La Concorde in Paris billboards, written in Hangeul (the Korean phonetic writing) translated into Russian "the Future revealed" and "February twentieth."